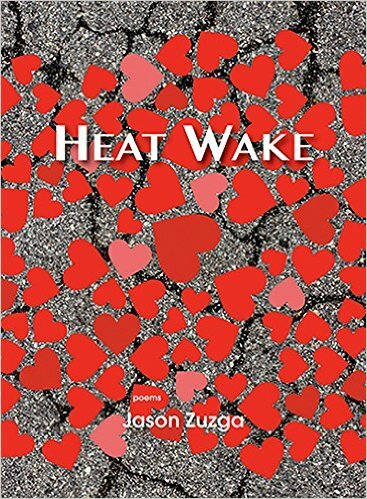 "Zuzga's debut collection grows out of the intersection of myth and nature, like a simmering volcano of animal intensity that occasionally erupts in expressions that alternate between euphoria and lament. He establishes this strange amalgam from the opening lines of the first poem: "All rocks are queer. By this I mean/ I'm gay." In "Love Poem," Zuzga recalls a melancholic youth in the dark shadow of an emerging queer identity ("I was angry at myself for being a teenaged mermaid") and tinges of this same sadness appear at other moments in the collection. "I may have exceeded the number of allowable/ falls-in-love," he sighs. Animals appear everywhere, including bats, sharks, "hot deer," and an extinct Steller's Sea Cow that munches "on sea lettuce the color/ of absinthe." Zuzga also meditates on the distinctions between human and nonhuman animal as scientists observe an array of marine life. In the title poem, he gets futuristic, imagining the cyborg "not-yet elephants of Mars." The book's third section (of six), "Electric Clocks Don't Tick," revolves around Zuzga's suburban New Jersey childhood and features Aunt Dottie's "sun tea," adventures with Encyclopedia Brown, and a surprisingly tender bathroom inventory. These gentle touches bloom all the more brightly under Zuzga's zoological bell jar, placing a real human heartbeat in the menagerie."